Axway API Builder enables you to easily connect your mobile apps to any data source. Companies are focusing on ways to open up their existing business, deliver new channels, and support new business models using REST APIs. 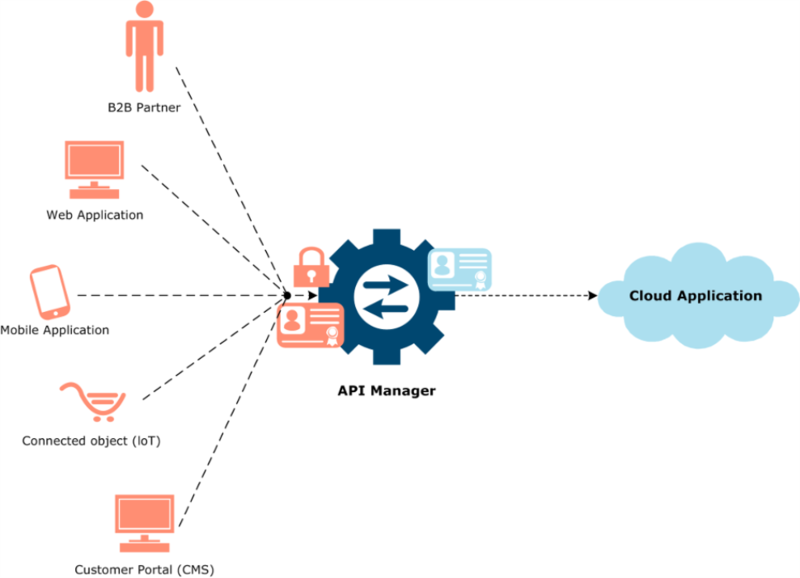 They are adopting API management capabilities such as web service and REST API registration and API catalog. Companies need to deliver new initiatives much faster, reducing cost, and improve overall business performance. The primary user role in this use case is the API administrator. The policy developer is a secondary role. In some organizations, both roles may be performed by the same person. Companies are now more and more willing to extend their application integration across and beyond the firewall to leverage the benefits of their cloud services. They are now adopting simple and web-based approaches to integrate and hide the complexity of orchestration, data transformation, and error handling with pre-built application connectors. These support the most common integration patterns for both cloud services and on-premise applications.